Are you a fan of Mugler fragrances? 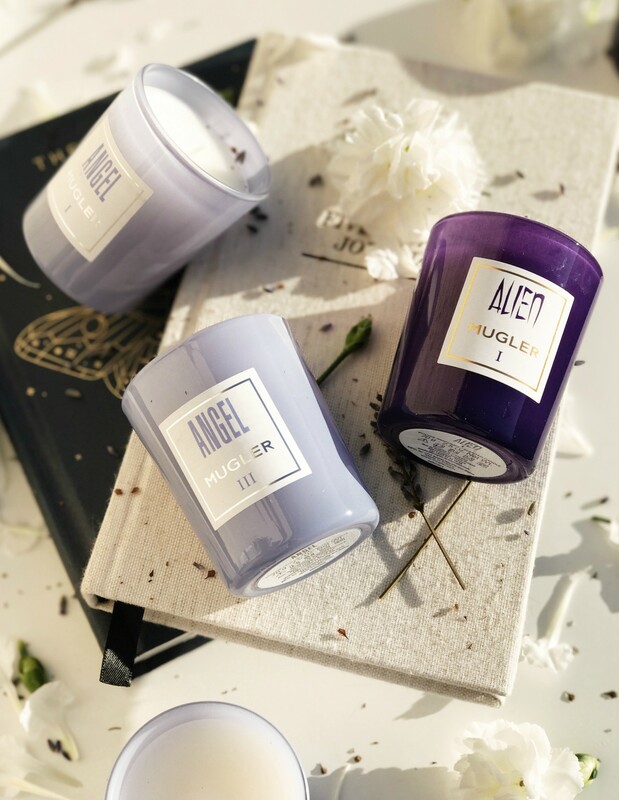 If you do happen to think highly of either the iconic Alien or Angel Eau de Parfumes, then not only can you own each scent as an individual candle, but there is the new and perhaps slightly more novel trinity candle sets. New for 2017(I know it is now 2018 but after an overindulgent festive period, I'm playing a dangerous game of catch up) is the Mugler Candle Trios: three travel sized votive candles, each of which have been scented with a facet from the two original fragrances. 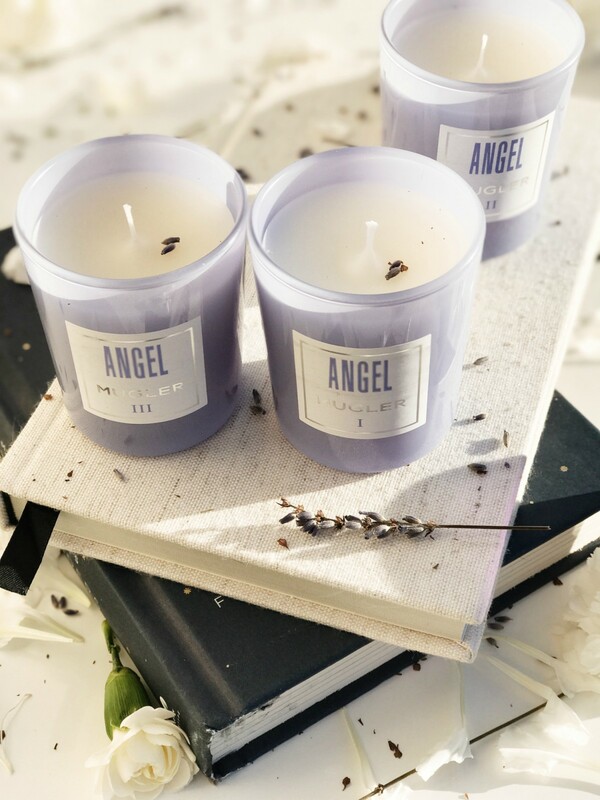 Individually each candle feels like you are exploring a new dimension of each of the well loved scents. It is such a clever way to enjoy a signature fragrance and a treat for any Mugler fan - and of course with each burning session you do happen to feel like a chemist in the process, which only heightens the magic. 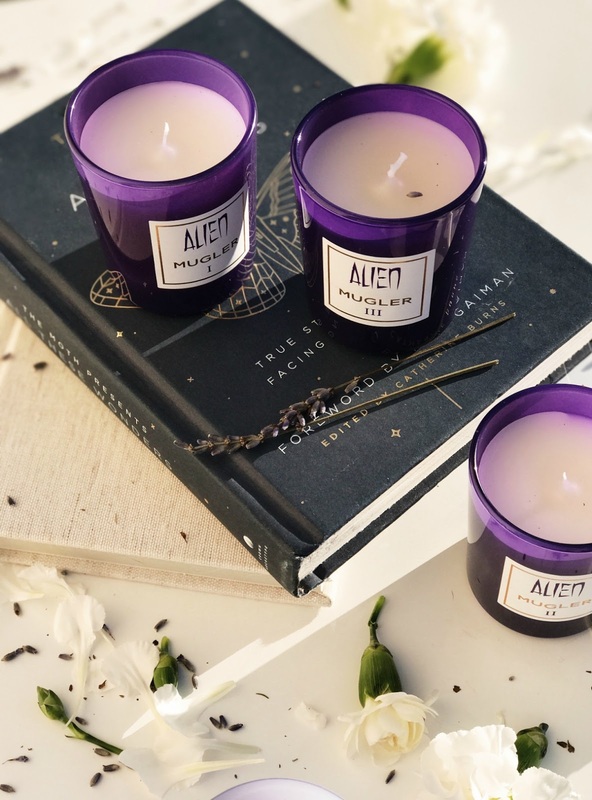 The Mugler Alien Candle Trio bases the three, deep purple glass votive candles around two central notes: Jasmine Sambac and Cashmeran wood (warm, woody and inviting). 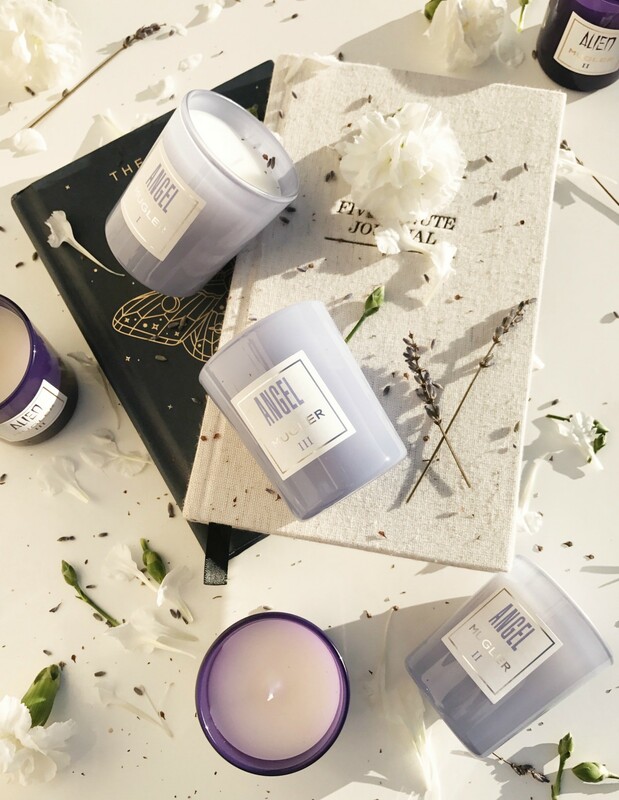 The three mini 70g candles that you can mix and match (or even burn alongside other home fragrances at your disposal) are: Solar - for a radiant and floral moment; Enveloping - for a sensual and generous moment ; Mysterious - for an elegant and vibrant moment. I personally would have enjoyed a little more detail in terms of notes, and maybe even the back story of the three chosen facets of the scent but I can vouch that each take on Alien, is as captivating and enticing as the original fragrance itself. For Angel fans the Mugler Angel Candle Trio (again each glass votive is 70g is size), there are three delicate lilac candles to select from, each with a different spin of the now iconic, rich gourmand fragrance: Celestial - for a moment of serene freshness; Delicious - for a moment of gourmand indulgence; Voluptuous - for a moment of pure sensuality. Again the scent descriptions are skimpy but do remain true to the star shaped eau de parfum that has won critical acclaim and hearts worldwide, for several decades. It all but goes without saying that I adore all forms of Mugler fragrances (who doesn't?) but there is something so much more enchanting, and dare I say whimsical about owning such cult scents in candle form. Maybe it is the flickering light they produce, maybe it is the softer take of what is easily considered a modern classic scent, or maybe, just maybe it is all of the above and then some. I'm hopeful that 2018 will see more perfume houses and names, branch into the world of home fragrance as sometimes wearing your favourite scent isn't quite enough. 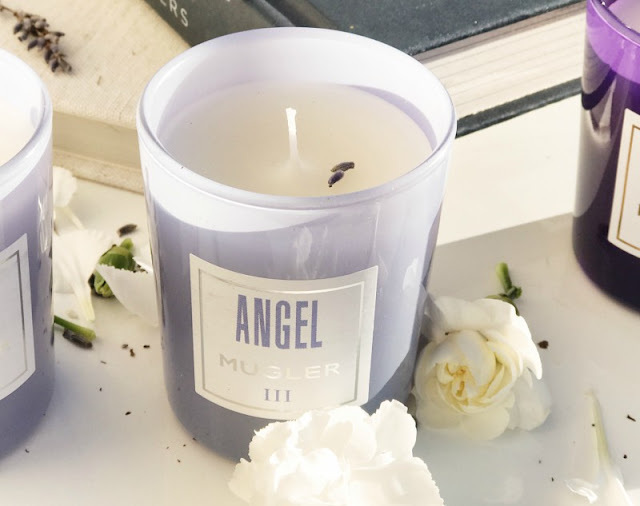 You can shop the entire range of Mugler scented candles here - link.